CANA is divided into four dioceses, each led by a bishop. Our diocese, The Missionary Diocese of CANA East is one of four missionary dioceses in the Convocation of Anglicans in North America. 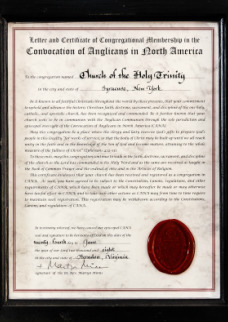 CANA offers an authentic connection to the Anglican Communion through the Church of Nigeria (Anglican). 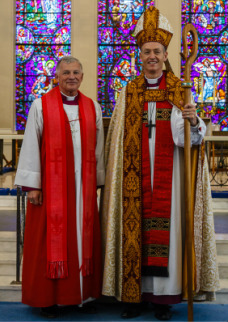 Pictured here are the two bishops of CANA East, Bishop Julian Dobbs (pictured right), and Bishop David Bena. Our parish joined CANA shortly after the parish was founded in 2007. We are one of the 37 parishes affiliated with CANA East, most of which are in the northeastern United States.